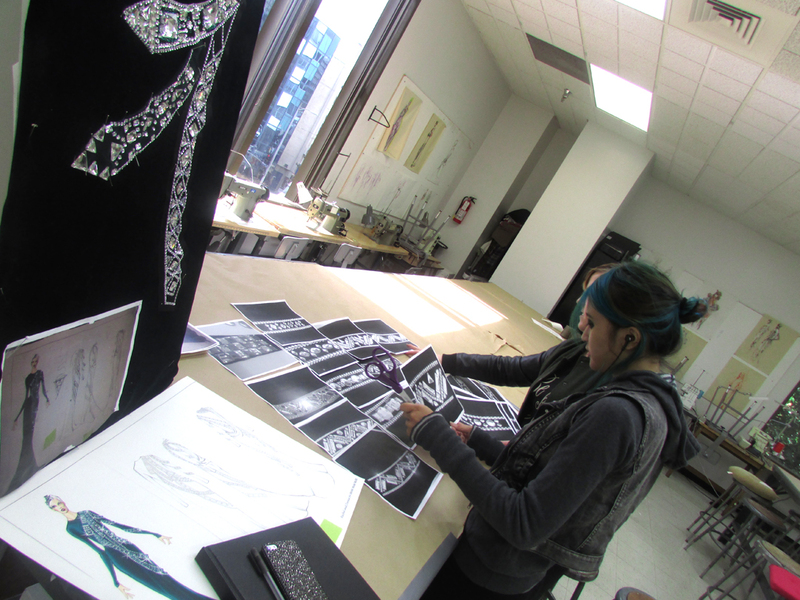 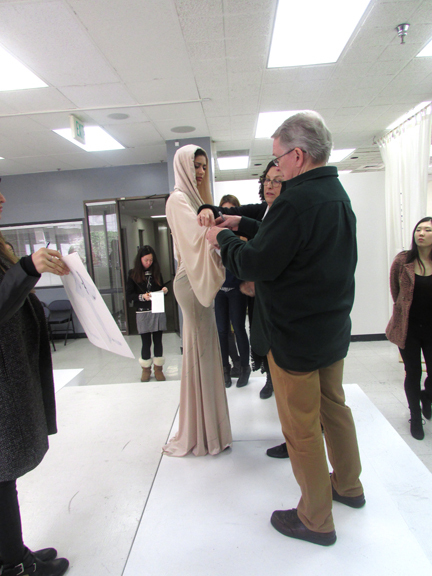 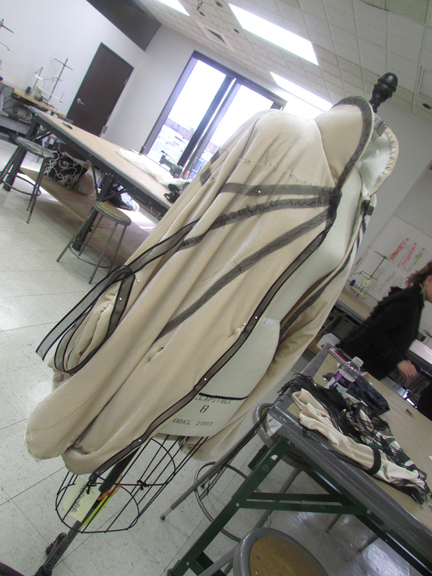 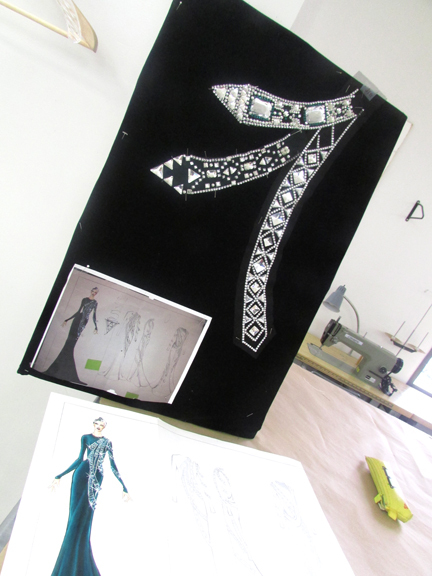 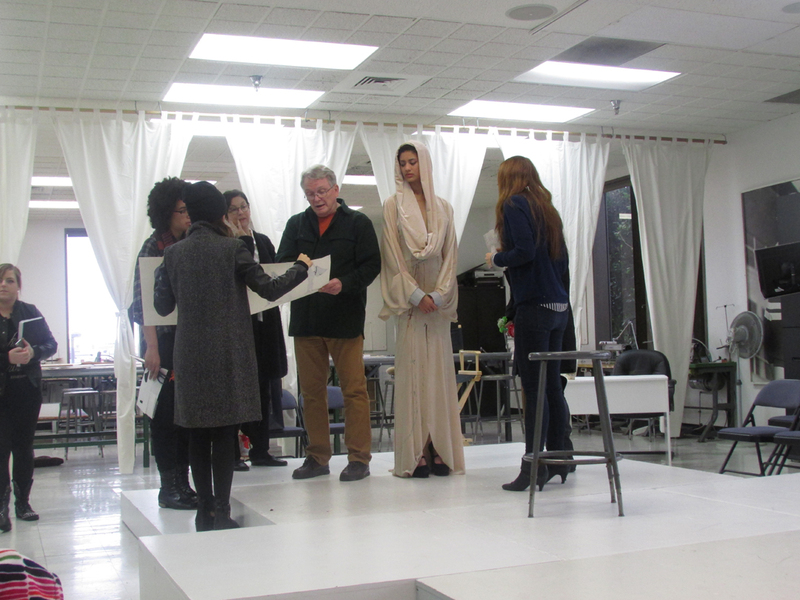 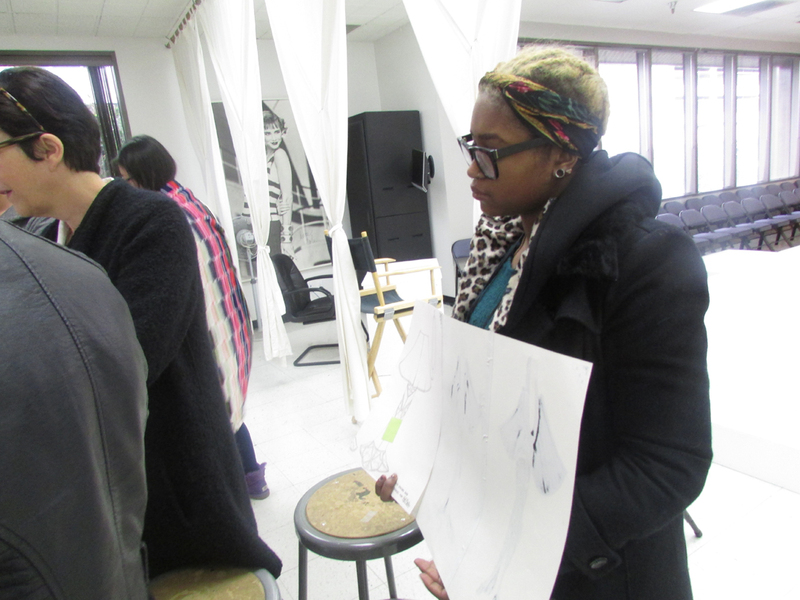 Bob Mackie set time aside last week to help students with their projects individually. 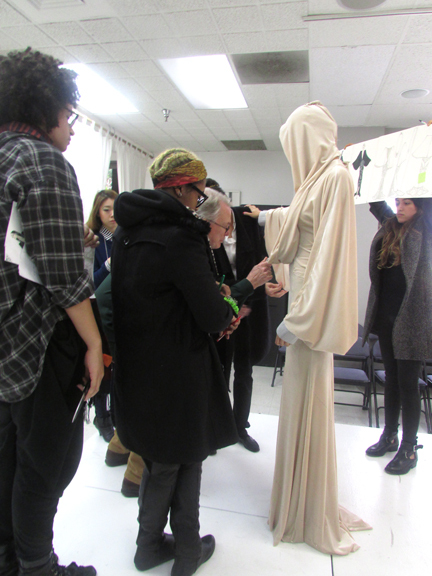 Each team was able to ask any questions they had to move them forward on their garments. 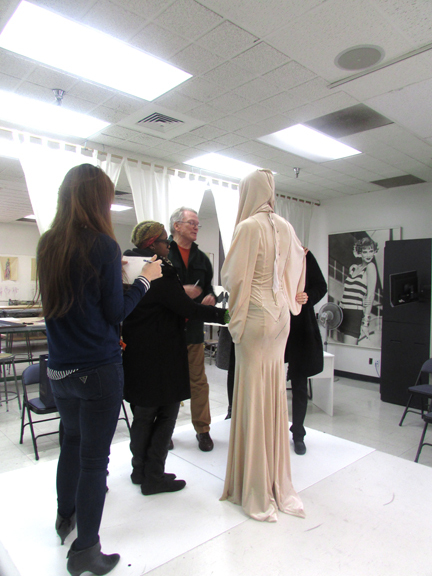 Here are some behind the scene shots!